With over 30 years combined experience in the production of bespoke coir door mats MakeAnEntrance is an expert in its field. Today we offer not only coir mats, but many other types of entrance mats too. We have doormats for homes, business entrance mats printed with your company logo, and even funny and personalised doormats too. Many of our mats are hand finished, and some are even stitched by hand, so you can be assured of a quality finish. Our entrance mats are made to last using high quality materials. You may sometimes find similar looking doormats cheaper elsewhere, but we’re sure they won’t be better. It’s a question of quality. Place an order with us and we’ll send it out to you as soon as we possibly can. In most cases this will be within a day or two of order, but our made to measure and bespoke products take a little longer usually about 2 weeks. We use reliable courier services so you can be sure that your order will reach you safely. Make an Entrance is a family run business, and we pride ourselves on giving excellent service and getting the job done right first time. 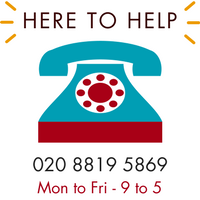 If you need help or advice in choosing your mat, please contact us or give us a call on 020 8819 5869, our mat specialists would love to help you.